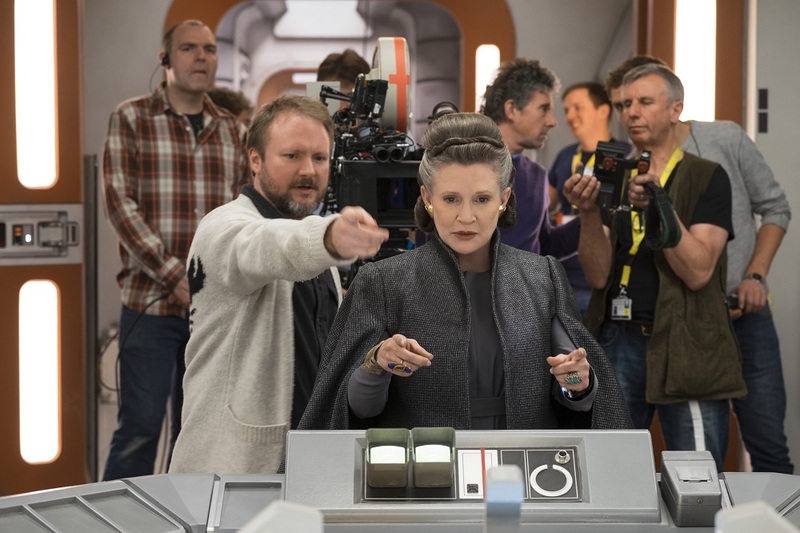 Directed and written by Rian Johnson who’s most known for his 2012 time-travelling thriller Looper, Star Wars: The Last Jedi is the eight episode in the main numbered series of the franchise. 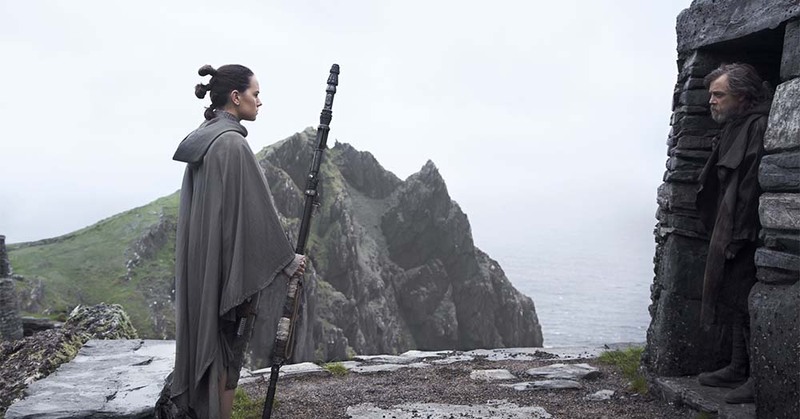 The plot takes place almost right after the events of Star Wars: Episode VII — The Force Awakens (2015) where Rey (Daisy Ridley) meets the legendary Luke Skywalker (Mark Hamill) in hopes that the last surviving Jedi would train her and help the galaxy fight against the evil First Order. Meanwhile, the Resistance’s base is surrounded by the First Order’s massive army and they have to find ways to escape and just survive from being completely annihilated. This instalment is a very long film with plenty of things going on with various characters in a different locations but for most parts, it does not feel bloated or rushed. After all the complaints about The Force Awakens being too familiar, Johnson made a great effort to this one as original and progressive as it can be while incorporating a couple of similar situations from Empire Strikes Back and Return of the Jedi. There are many twists and turns with a lot of action, humour and compelling drama that most Star Wars fans would be pleased of. The music by John Williams is excellent as always and the visuals are mostly great although Supreme Leader Snoke’s CGI looks pretty unconvincing. The shots of even the busiest action sequences are done in wide angle with a lot happening in the background and minimal cuts. And there are many thrilling moments that manage to make me feel real danger, as though the characters may not be safe from death or being written off. I also liked the deeper themes and questions that Johnson brings up in the film like what if the Kylo Rens and Darth Vaders exist because Jedi still exists? And these themes are very relevant to the future continuation that the series seems to be aiming for. While I really did enjoy this sequel, there are some problems with it and it’s not just the unnecessary, cute Pokemon-like alien animals that serve no purpose apart from merchandise sales. Johnson did a great job directing the film for sure but it’s his writing that may have caused a few dissatisfaction. What I’m most utterly disappointed about is the reveal of Rey’s mysterious parents after all that hype from The Force Awakens and Anakin’s lightsaber calling out for her and whatnot. She still lacks of any real struggle or loss. She’s like a goddess who could almost do no wrong. It also doesn’t seem like the film series would ever clearly explain by Rey is so naturally powerful. After this instalment, I feel more disengaged from the character. The film leaves no big mystery behind for fans to ponder and discuss about. Villains Snoke (Andy Serkis) and Captain Phasma (Gwendoline Christie) are disappointing too as they’re pretty much useless in the film. I don’t even understand the need of using CGI for Snoke. It’s such a waste of Andy Serkis’ (Planet of the Apes series, The Lord of the Rings franchise) motion capture expertise. There’s also a romantic relationship between two characters, whom I shall not name, that is extremely forced, unnecessary and their arc together is perhaps the only boring and forgettable one in the whole film. There are also one or two parts where I feel that the trouble faced by the characters could’ve been avoided or solved if they’ve done this or that earlier. 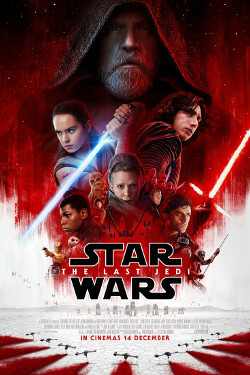 The film is undoubtedly entertaining and there are sufficient action involving lightsabers but I wasn’t emotionally engaged by the new trilogy’s characters and there isn’t really a fight scene that wowed me like Luke vs. Vader or Obi-Wan/Qui-Gon vs. Maul did in their respective era. The performances of the main cast are absolutely fantastic, particularly Mark Hamill who plays a very unique, older version of his iconic character. I’m very pleased that he’s more involved in the story than just being a grumpy teacher. The homages are truly heartfelt. The brief moment between Luke, Leia (final appearance by the late Carrie Fisher) and C-3PO (Anthony Daniels) almost got me in tears. The film has an outstanding final act and ends quite intelligently with an option to start the next sequel’s story after a time gap, perhaps a decade after the events of this instalment. However, it also doesn’t leave enough reasons for me to anticipate the sequel. Malaysian censorship: Only one line from Finn is noticeably muted. Second opinion: My friend JM liked the film but at the same time felt that everything is too unsubtle compared to the previous episodes and there isn’t anything about this one that makes him want to rewatch it any time soon. Verdict: I’d say it’s probably the fourth or fifth best instalment in the main series. Force Awakens is more enjoyable while The Last Jedi is more original and progressive.